Spray | Nic-Hit International Inc. : Nic-Hit International Inc. This mouth spray is formulated to deliver nicotine into your system through the lining of your mouth rather than in your stomach (like most other medications). Screw the spray assembly to the bottle. Press the top of the spray assembly to produce one spray of the solution, avoiding the spray from touching your lips. To avoid the solution from reaching your throat, do not inspire at the time of vaporization of the product. For best results, refrain from swallowing your saliva for a few seconds after spraying. Replace the protective cap on the spray assembly after use. Always take Nic-Hit spray as stated in this guide. You should check with your professional health care provider or pharmacist if you are not sure. Individuals under 18 years of age should not use Nic-Hit spray unless prescribed by a professional health care provider. 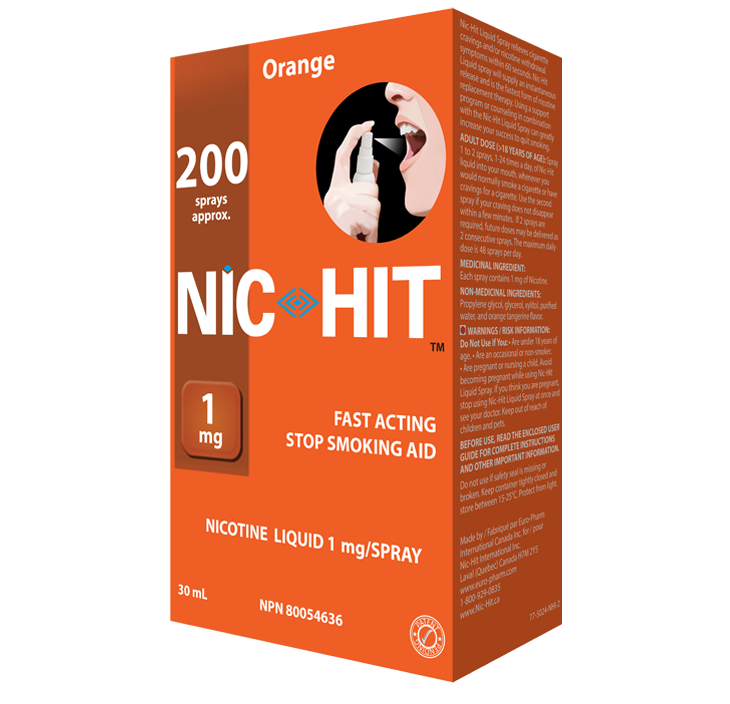 Stop smoking completely during treatment with Nic-Hit spray. pray 1-2 doses, 1-24 times a day, of 1 mg Nic-Hit liquid into your mouth, whenever you would normally smoke a cigarette or have cravings for a cigarette. Use the second spray if your cravings do not disappear within a few minutes. If 2 sprays are required, future doses may be delivered as 2 consecutive sprays. The maximum daily dose is 48 sprays per day providing up to 48 mg of nicotine. Spray 1 dose, 1-32 times a day, of 2 mg Nic-Hit liquid into your mouth, whenever you would normally smoke a cigarette or have cravings for a cigarette. The maximum daily dose is 32 sprays per day providing up to 64 mg of nicotine. Start reducing the number of sprays per day. By the end of week 9 you should be using half the average number of sprays per day that you used in step #1. Start reducing the number of sprays per day. By the end of week 9 you should be using half the average number of sprays per day that you used in step #1. Continue reducing the number of sprays per day so that you are not using more than 2-4 sprays per day during week 12. At the end of week 12, stop using the Nic-Hit spray Continue reducing the number of sprays per day so that you are not using more than 2-4 sprays per day during week 12. At the end of week 12, stop using the Nic-Hit spray. You may be tempted to smoke again after treatment has stopped. If you have a craving use 2 sprays if one spray does not help within a few minutes. Normally you should take Nic-Hit spray for 3 months but not longer than 6 months. Consult your professional health care provider or pharmacist if you need to use the Nic-Hit spray for longer than 6 months. Save any remaining doses of the spray as craving for smoking may suddenly occur. Consult your doctor before using this product if you have or have had heart, thyroid, circulation, stomach, throat or mouth problems, high blood pressure, or if you are taking insulin or any prescription medicine. Do not use for more than six (6) months without consulting a health care practitioner. Consult your doctor if you have difficulty in reducing the quantity of nicotine. Consult your dentist or doctor if injury or irritation to the mouth, teeth or gum around dentures occurs. Stop smoking, chewing tobacco or using snuff or any other nicotine replacement therapy products including patches before and while using this product since it may result in an overdose of nicotine. Do not use if you are under 18 years of age (the use of this product for children and adolescents who smoke has not yet been evaluated). Do not use if you are allergic to nicotine or any of the non-medicinal ingredients in this product. In case of overdose or if a child takes one or more nicotine mini-lozenges, contact your doctor or local Poison Control Centre at once. Children are especially sensitive to the effects of even small doses of nicotine. 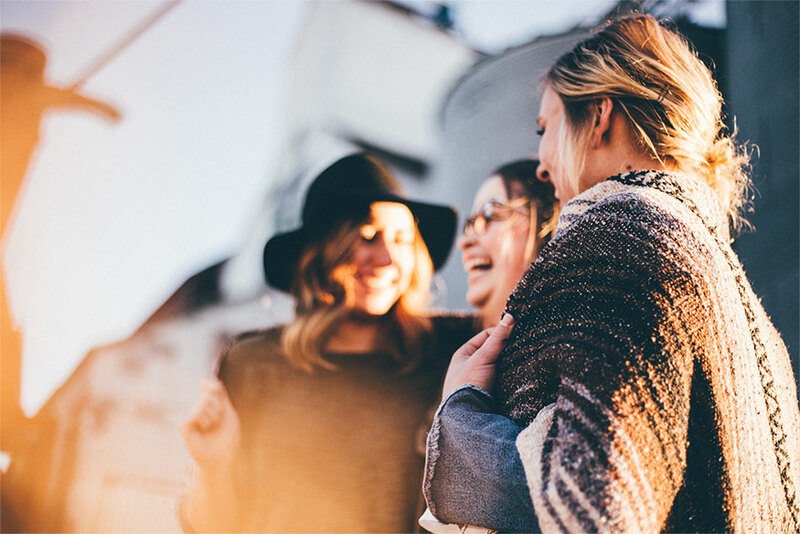 Symptoms of an overdose include nausea, abdominal pain, vomiting, diarrhea, cold sweat, dizziness, disturbed hearing and vision, mental confusion, rapid heartbeat, difficulty breathing and marked weakness. Do not use if you are pregnant or breastfeeding a child. Do not get pregnant while using this product. If you think you are pregnant stop using this product and consult your doctor. Do not use this product if you are an occasional smoker or non-smoker. propylene glycol, glycerol, xylitol, flavor, and purified water. Nic-Hit spray can cause side effects, although not everyone gets them. 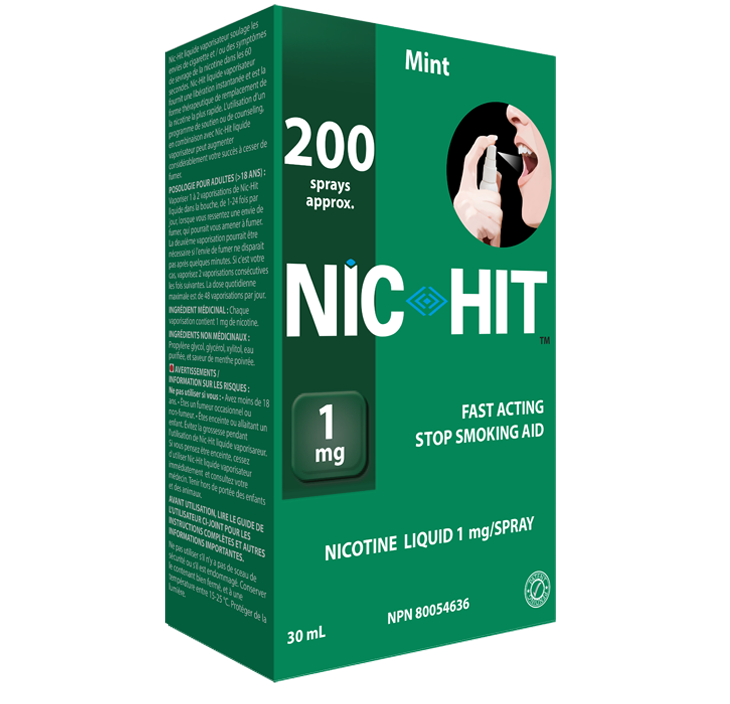 Nic-Hit spray can give the same side effects as other ways of taking nicotine. The side effects generally depend on the dose you take. You may experience unwanted effects because by stopping smoking you have reduced the amount of nicotine you are taking. You may also experience these effects if you underuse the Nic-Hit spray before you are ready to reduce your nicotine intake. - Oral effects such as toothache, inflammation of the tongue or gums, damage to the lining of the mouth or changes in the sound of your voice. - Hypersensitivity (allergy) including rash and/or itching (pruritus, urticaria) of the skin. If you experience a side effect that worries you, or if you have a side effect not listed in this guide, tell your professional health care provider or pharmacist.